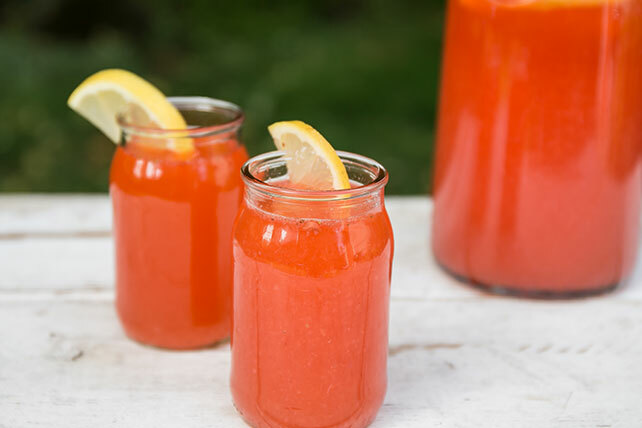 Strawberry Lemonade Lemonade-flavor drink mix and fresh strawberry halves are all you need to turn cold water into this refreshing HEALTHY LIVING lemonade. Blend 2 cups water, strawberries and drink mix in blender until smooth. Pour into large plastic or glass pitcher. Stir in remaining water.